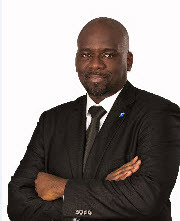 More than 18 years of experience in the Information and Communication Technology with specific focus on the Aviation Industry, Serge Yonke Nguewo is Senior Manager, Facilitation and IT at ACI World. Serge is responsible for overseeing all aspects of Airport IT technology and the Airport Facilitation portfolio. In sum, Serge assists airports in using technology to improve the passenger process, airport efficiency as well as increasing non-aeronautical revenues. Serge is leading the ACRIS Working Group as well as the Airport Digital Transformation initiative for ACI World.